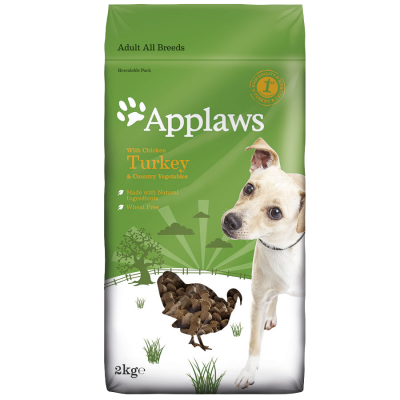 Applaws Complete Dry Dog Food provides a natural source of high quality animal protein as well as a special blend of superfruits, natural herbs and preservatives. The inclusion of a prebiotic also makes this recipe easy to digest and transition. All Applaws dry dog foods are made with animal protein as there first ingredients. 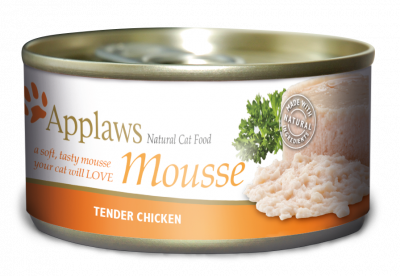 This applaws recipe is also wheat and gluten free. 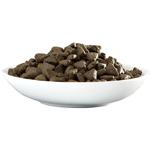 Wheat grain is a common cause of allergies in dogs which is why we don't include it our kibble. 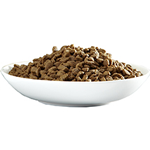 Dried Chicken, chicken fat, chicken gravy, maize, maize flour, peas, white rice, dried turkey 4%, beet pulp, minerals, salmon oil, brewer’s yeast, dried chicory (a natural source of FOS and inulin), flax seed, dried apples, sweet potato, Yucca schidigera, Rosemarinus sp, Vitis sp, Curcuma sp, Citrus sp. Nutritional Additives (mg/kg): Vitamins: Vitamin A (IU/kg) )3a672a): 14.000, Vitamin D3 (IU/kg) (E671): 1.000, Vitamin E (alfa-tocopherol acetate) (3a700): 100. Trace Elements: Iron (iron (II) sulfate (monohydrate)) (E1): 100, Copper (copper (II) sulfate (monohydrate)) (E4): 10, Zinc (zinc(II) sulfate (monohydrate)) (E6): 125, Manganese (manganese (II) oxyde) (E5): 5, Iodine (calcium iodate) (3b202): 1,5, Selenium (sodium selenite) (E8): 0,2. Crude Protein 22%, Crude Oils & Fats 11,5%, Crude Fibre 3%, Crude Ash 7.5%, Omega 3 0.5%, Omega 6 2.2%, Moisture 9%. 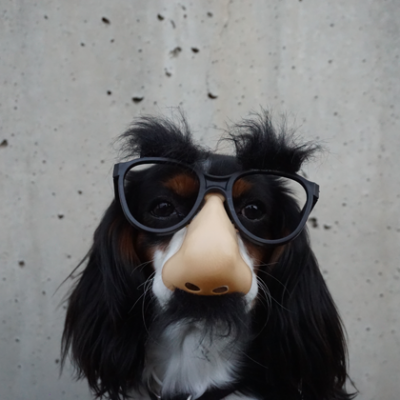 All breeds, easy to transition recipe.